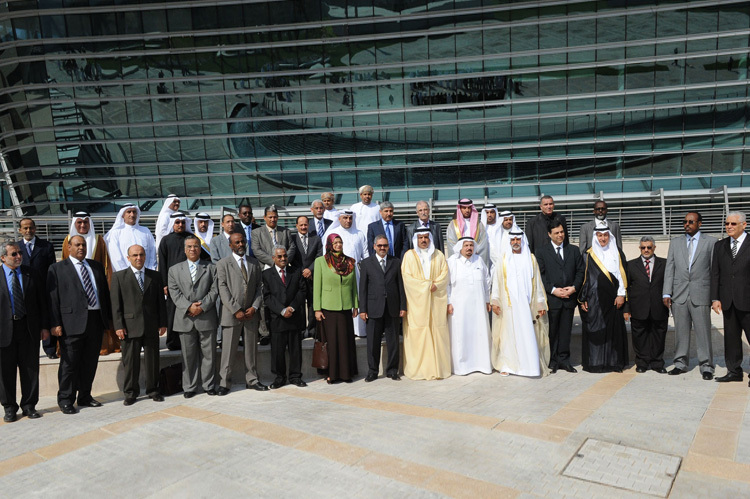 His Excellency Sheikh Nahayan Bin Mabarak Al Nahayan, Minister of Higher Education and Scientific Research, President of Zayed University inaugurated the thirteenth Conference of the Arab Ministers of Higher Education and Scientific Research this morning. 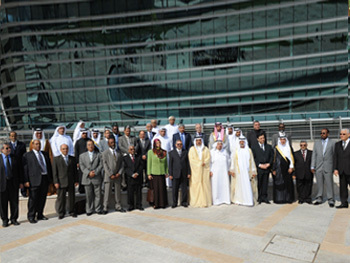 The conference is being held on the new Zayed University iconic Abu Dhabi campus, and tackles the scientific means of higher education development in the Arab world, as well as the improvement of government systems in higher education and scientific research institutions, and the adoption of advanced methods and management techniques in these institutions. 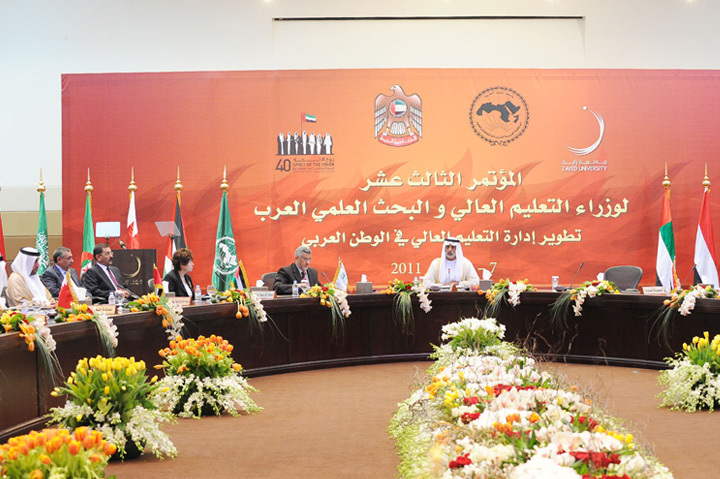 The opening session was attended by a number of Arab Ministers of higher education and prominent figures from regional and international higher education organizations. Following the end of the opening session, His Excellency Sheikh Nahayan accompanied his esteemed guests on a tour around the new state-of-the-art Abu Dhabi campus, which wonderfully combines modern architecture and the traditional Emirati feel.